All offers considered - Pristine move-in ready 5 bed, 3 full bath, 3 car garage, 2 story home located in an A-rated school district on two large cul-de-sacs in beautiful Boca Isles North. Upgrades include a brand-new roof (Sept 2018), A/C (2017), stainless appliances, W/D, quartz counter tops, travertine, carpet, upstairs beverage center, California Closets and Jacuzzi soaking tub. Built-in TV center in family room, granite, massive driveway, fire pit, and basketball hoop. Garage gym has a ballet bar and mirror, includes treadmill, rowing machine, recumbent bike and TV hookup. The summer kitchen includes a mini fridge, TV hookup, DCS grill, DCS double side burners and DCS kegerator. Lot Size: 0.21 Acres / 8933 Sq. Ft. Directions:GLADES RD. WEST, TURN RIGHT ON CAIN BLVD (NEIGHBORHOOD IS BETWEEN YAMATO AND GLADES ON CAIN), PASS BOCA ISLES SOUTH, TURN LEFT INTO GATE. BOCA ISLES NORTH. PAST GATE TURN LEFT. SchoolsClick map icons below to view information for schools near 10872 Tea Olive Lane Boca Raton, FL 33498. 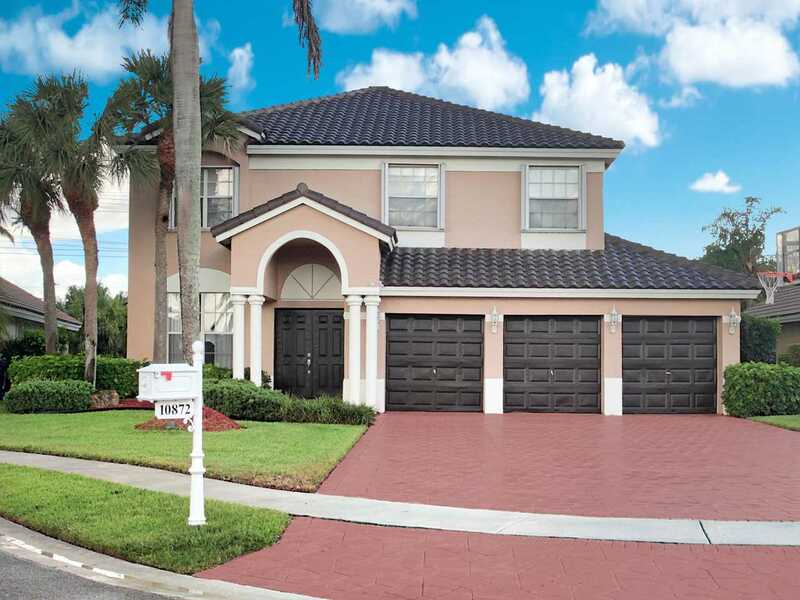 Listing provided courtesy of Campbell & Rosemurgy R.E..
MLS # RX-10469671: This property at 10872 Tea Olive Lane, Boca Raton, FL 33498 is located in the Boca Isles West Ph 3 A subdivision and is listed for $625,900. MLS # RX-10469671 has been on the market for 200 days.